Arcata Exchange owner Gene Joyce is a lot of things. Businessman. Family man. Scout leader. Member of various boards. Bat N' Rouge player. Probably more. But today, he added another to the list: Baby cow rescuer. To the person that was driving south on 101 in Arcata around noon with the calf (baby cow) in your pick up truck, he climbed out and jumped out just north of the Sunset exit. He seems to not be too badly injured but I did call animal control and they are taking him to [North Coast Veterinary] on Giuntoli Lane. If you got to where you are going and found out you are missing your calf, that's where he is. Joyce is asking folks to share the post as he figures he's "no more than two degrees of separation from most everyone in Arcata/Eureka/McKinleyville area." And perhaps most endearing, "He was so cute too, with those big brown eyes looking up at me while I held him and tried to keep him calm on the side of 101 with traffic whizzing by at 65-plus mph." So, Humboldt? Anyone missing a calf? Addendum: An employee at Humboldt County Animal Control says the calf was likely being taken to a veal farm or slaughterhouse, as males aren't useful on dairy farms. He is OK and in foster care, where he will be bottle fed and cared for. 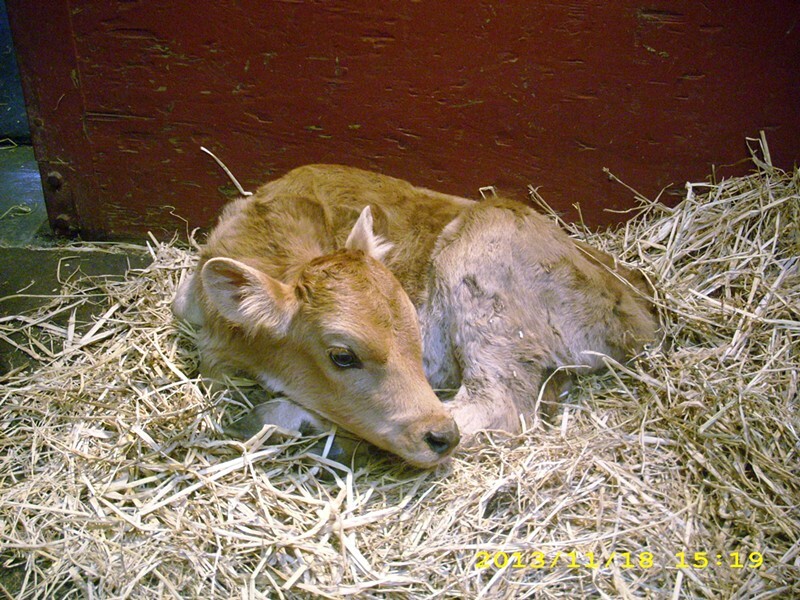 If unclaimed after 14 days, the calf will go up for adoption.